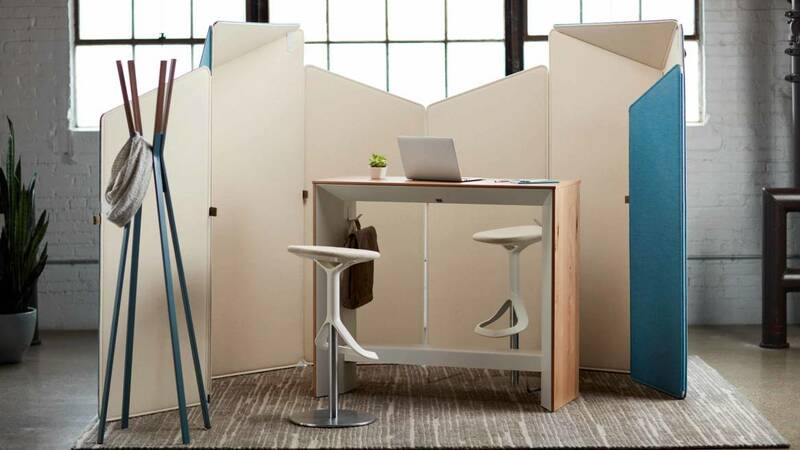 Standing Slim Table creates functional waiting spaces outside meeting rooms, bringing more value and more possibilities to hallways and corridors. 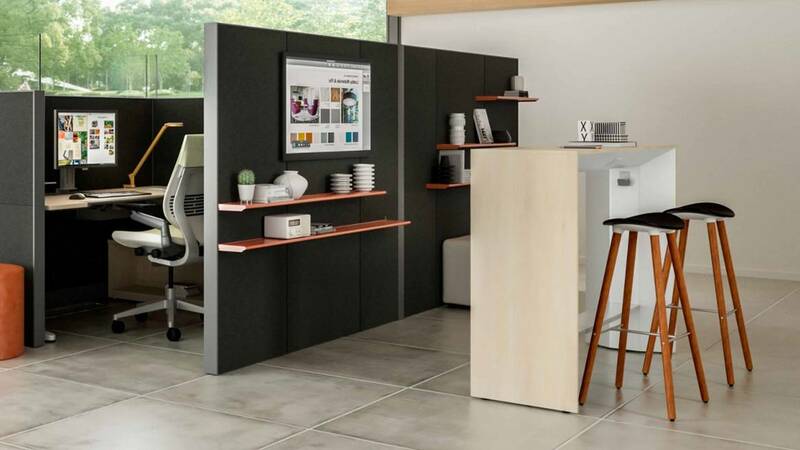 It’s also an ideal fit inside enclaves for 1:1 meetings or as a space divider. 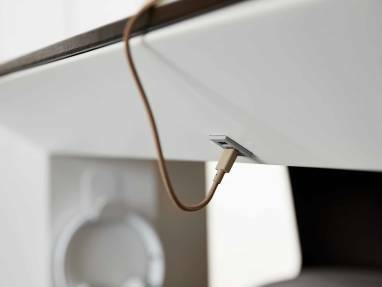 Two standard outlets and optional USB/USB-C ports make it easy to power up devices and stay fully charged all day long. 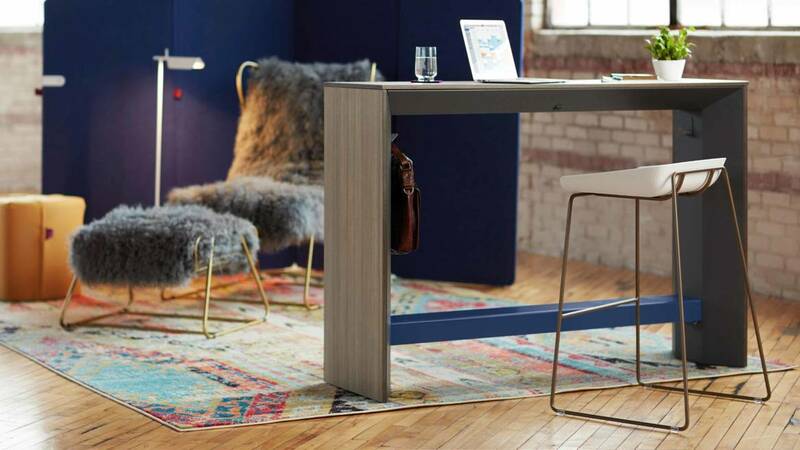 The standard Footshel adds support and comfort to Standing Height Slim Table. 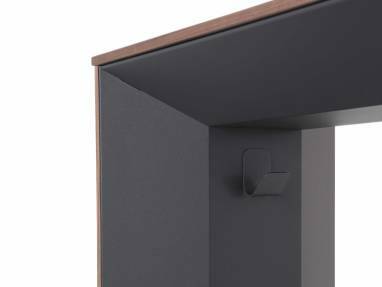 It facilitates a shift in weight while standing, while bringing color with contrasting paint options. 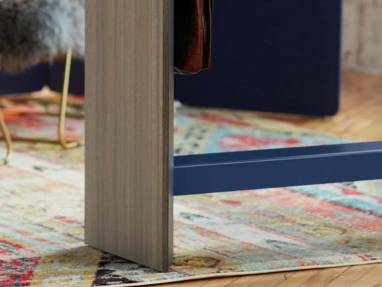 Painted bag hook provides space for personal belongings.